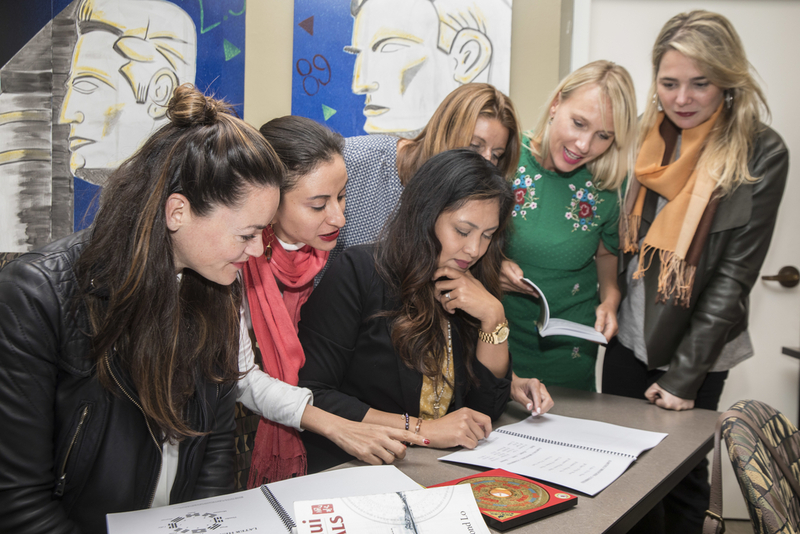 When you learn BaZi, you’ll begin to understand the connection between people’s moods and the dynamic and intricate interactions–and influences–of the Chinese Five Elements. 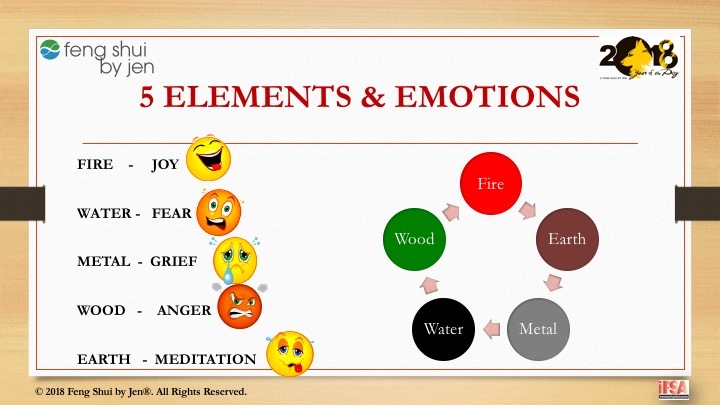 You can always associate the highs and lows of people’s moods, sentiment, and general outlook simply by following and interpreting how the Five Elements show up in the Chinese Hsia Calendar. It is an incredible revelation that will leave you in awe and make you want to learn more. How in the world the ancient folks learned to devise this by way of the Hsia Calendar is still the work of mystery. It truly goes beyond human intelligence! When you examine and dissect a particular element, you can already learn the layers and multidimensional meanings of its essence. For instance, the Fire Element is closely associated with the emotion related to joy, happiness, celebration, optimism, and confidence. That’s why, whenever the Fire Element is present in a single day, month, or year, you can usually experience the emotional highs. Whenever there is a large stock market gain in a single day, for example, you can almost always refer back to the Hsia Calendar and see that it is a strong Fire or Wood/Fire combination day. This is easy to explain. Fire boosts people’s confidence. When people are feeling confident, they take risks and invest. Hence, we call this a Bull Market. On the other hand, the Water Element is associated with fear, anxiety, doubt, cynicism, worry, and panic. 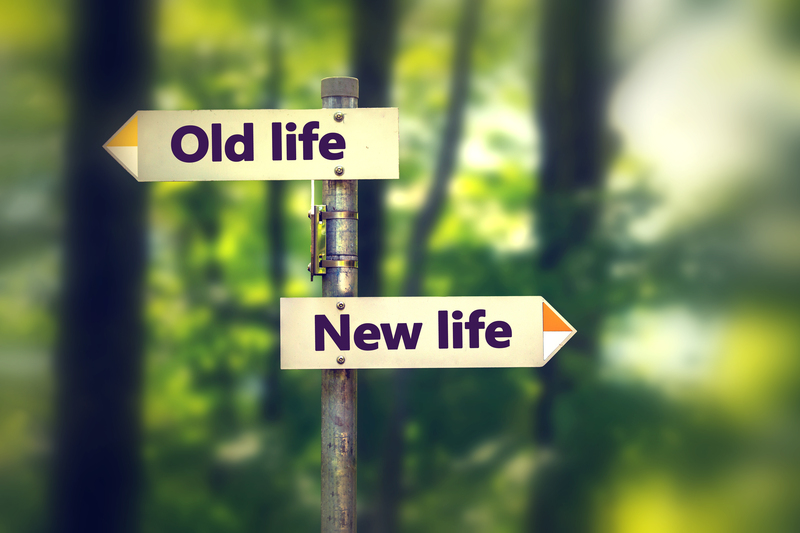 So, when people are feeling more doubtful and pessimistic, they avoid risks and often sell. This is called a Bear Market. 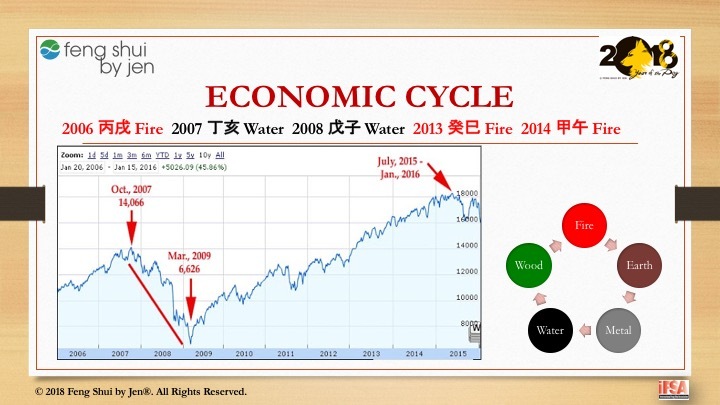 You can easily trace the downward market trend back to the Chinese Calendar and you’ll see that the date has either too much Water or the element combination signifies the absence of Fire. Every living being has a life cycle. There is birth and death. The very idea of the cosmic cycle of Yin-and-Yang is evidenced in every living creature that survives on Qi (or life force). Not only that, but the Elements themselves also experience life cycles. They rise and fall, rise and fall again, and so forth, in an unending cycle. Therefore, when we want to understand the strength and impact of each Element, we must also understand how they are born and how they die. Fire is born in Spring (Wood is the Mother to Fire), Fire peaks in Summer (Fire Duplicates Self), Fire wanes in Autumn (Weakening & Declining), Fire dies at the start of Winter (Earth), and Fire is totally absent in Winter (Water). This is the life cycle of the Fire Element. What is even more interesting is that the Animal Sign of the Dog, which is also an Earth Element that belongs to the Autumn Season, is the signal of the completion of the Autumn season and the beginning of Winter (Water Element). Therefore, the technical translation of the Dog is often referred to as “The Grave of Fire,” as in, the Fire Element is extinguished upon the arrival of the Dog’s energy. Furthermore, in the Chinese calendar system, the Dog represents the month of October. So you can see, the Fire Element has very little influence during the months of October through January, but returns again in the month of the Tiger (February)–the arrival of Spring (Wood is the Mother to Fire). Bottom Line: 2018 Dog Year means the Fire influence is weak, which means the emotional symbolism (joy, happiness, etc.) associated with the Fire Element is also weak. People’s sentiment and outlook of the economy will be mostly bleak and grim. What’s more, we will also have a long and extended stretch of years without the influence of Fire. The Fire energy will not return again until Year 2022 when the Tiger year (Wood Element) returns. These next few years are fueled by the strongest Yin energy, which is the Water Element (fear, panic, etc. ), especially going into 2019 (Pig Year is a Water Element) and 2020 (Rat Year is also a Water Element). When you examine the most recent market downturn (2006-2009), it is not without coincidence that 2006 also happened to be the Year of the Dog! Twelve years later, we are back in a similar conundrum. The subsequent years 2007 and 2008 were also Pig and Rat years, respectively. All Water. 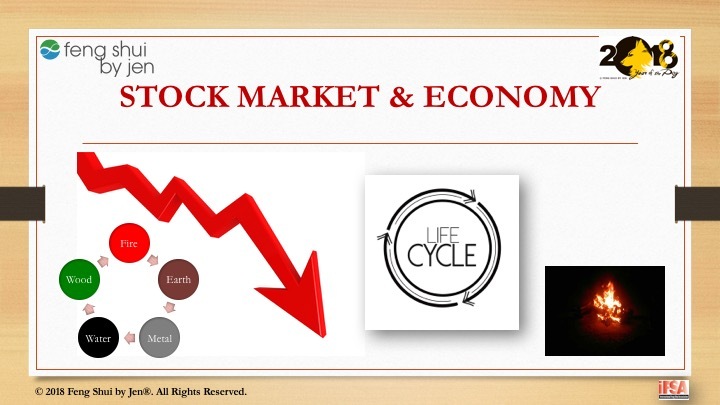 And the market did not show signs of recovery until 2013-2014 when the Fire Element returned (2013 and 2014 were Snake and Horse Years, both Fire Element signs). In conclusion, I suspect this 2018 Dog Year will bring turmoil to the stock market again. On February 5th, the Dow closed with 4.6% lost. That’s almost 1,200 points! 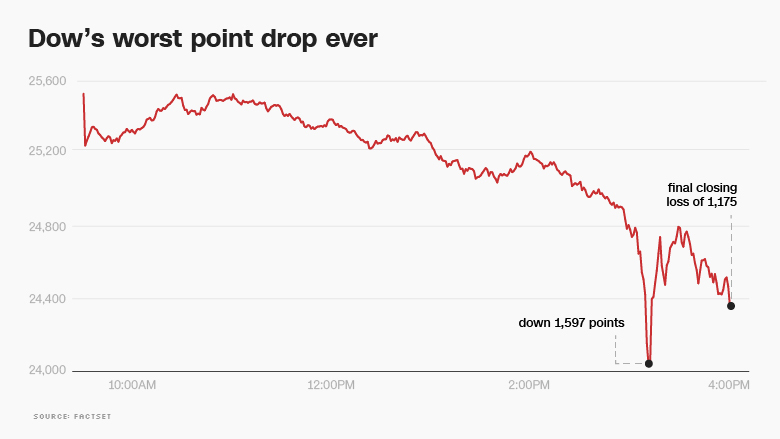 This was the largest single day points fall in history and the worst fall in percentage since 2011. Yikes!! The biggest losers belonged to the financial (Metal Element) and Healthcare (Earth Element) industries, but declines were spread broadly anyway. I love how the media and expert analysts have offered very little explanation for the nosedive. While the fall is fueled with much speculation, I can offer a very simple 4-letter explanation: B-A-Z-I. February 5th marked exactly one day after the official start of the Dog Year. And February 5th was also a very heavy Earth Day (Yang Earth Dragon), which means, Fire is totally lacking. Trade war fears rocked Wall Street on Thursday, March 22, after President Trump launched a crackdown on China. 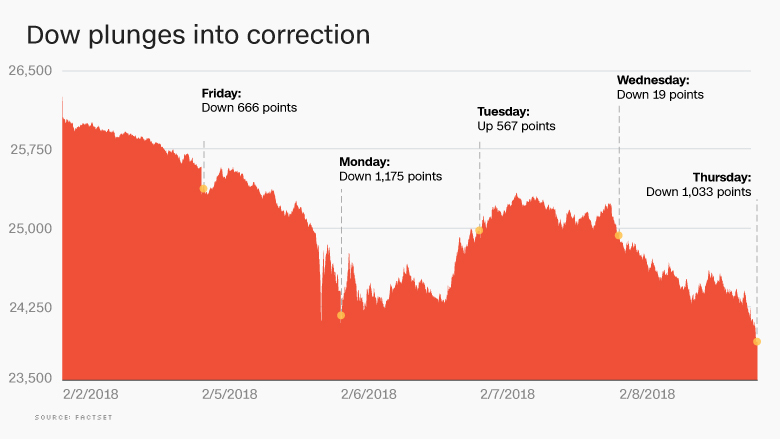 The Dow Jones plummeted 724 points (or 2.9%) as concerns are mounting over looming tariffs on China. 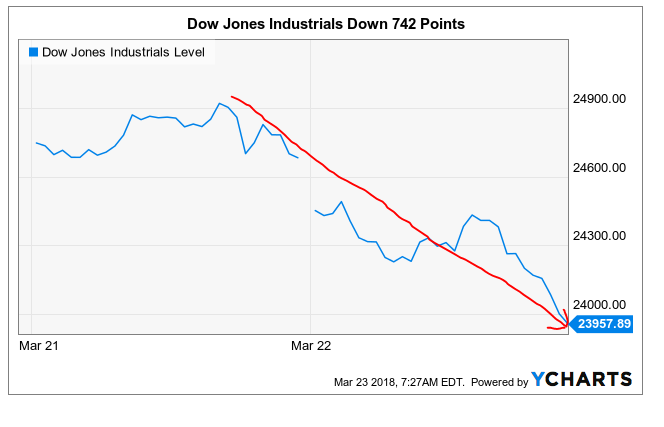 This nosedive was the fifth-largest point decline in history and the market’s worst day since the extreme turmoil of early February (as noted above). 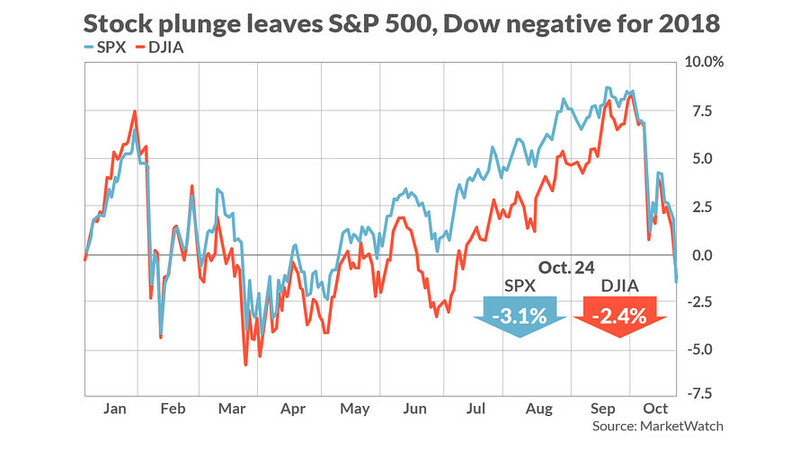 The S&P 500 was also down 2.5% and the Nasdaq 2.4%. Even though the energy of the spring season (Wood Element) is helping to hold prices, the Elements of the day is Yin Water Ox 癸丑, which is an incredibly “cold” day lacking Fire. Furthermore, the Ox 丑 has a direct connection with the Dog Year to form a half-combine Earth Penalty string. This would have been aggravated even more especially during the hour of the Goat 未, 1-3pm local time. See BaZi Earth Penalty article HERE. This combination stirs up a lot of panic and fear. In fact, CNNMoney’s Fear & Greed Index, a measure of market sentiment, dropped further into “extreme fear.” This is all in alignment with the prediction of the upcoming year of the Dog 戌. Then, on Monday, March 26th, the market rebounds back by 669 points or 2.8%, its best day since 2008! As you may guess it, March 26th was a Yin Fire Snake 丁巳 (Fire) day — nothing but FIRE! And with the support of the Rabbit 卯 month (Wood), Monday was a super fire day. No doubt helping the stock market regain its footing as trade war fears ease. S&P also bounced by 2.7% and Nasdaq jumping upwards to 3.3%. Isn’t that incredible? Yikes! What a crazy month this was! The Dog’s energy was intense and mind-shattering and full of events. At any rate, we’ll focus on the impact on the stock market. On Wed. October 24, an Ox 丑 day, the Dow closed and fell more than 600 points, a 2.4% drop, and wipes out 2018 gains. The S&P 500 sank more than 3%. According to CNN Business, the tech-heavy Nasdaq plummeted more than 4% — its worst daily drop since August 2011. On this day, we also call it a half-penalty Earth day (Dog 戌 Year, Dog 戌 Month, Ox 丑 Day). It’s no surprise the market was in a tizzy. We’ll continue to monitor the stock market as we move into the Dog 戌 Year. Just remember: Fire = Gain; Water = Loss. Happy learning! 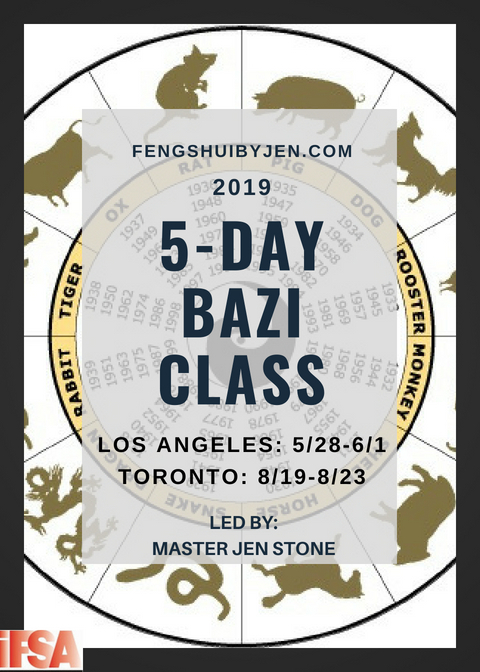 Want to learn more about BaZi? 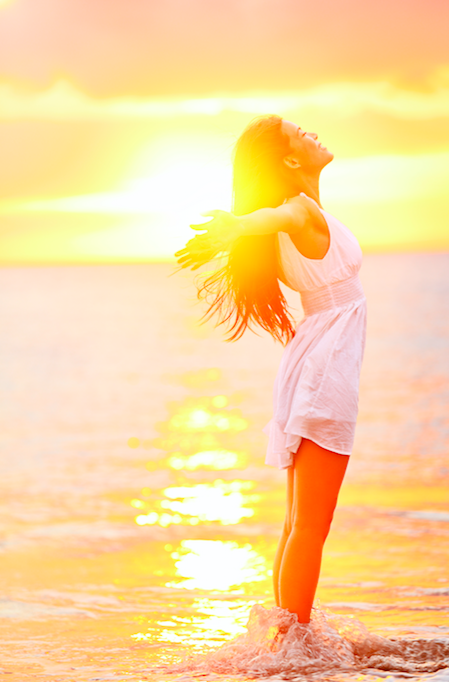 You follow me on Facebook Feng Shui by Jen to stay apprised. 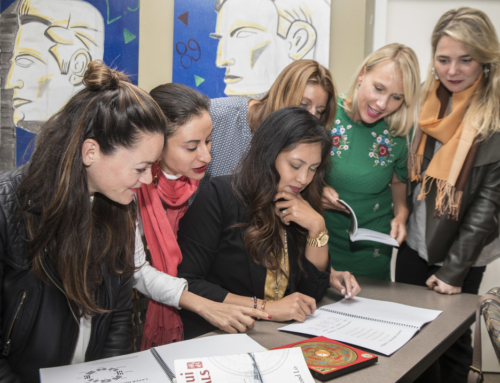 If you want to learn it for yourself, join me in 2019 when the school offers BaZi – Four Pillars of Destiny. You won’t want to miss it! Copyright ©2018 | Feng Shui by Jen LLC | All Rights Reserved | Materials may not be copied, translated, or distributed without prior written consent.